Are you considering keeping a pet? Maybe you should consider a pet fish. Why? Well, because for one, fish is a low maintenance pet, if you are to compare it with the other pets. Secondly,they come in an array of stunning colors, shapes, and sizes that will make your home look beautiful. A killer reason why we must keep fish is the fact that they are just so calm and serene.There quiet and peaceful nature will help you to relax and reassure. Fish, as you well know, cannot survive outside of water. For this reason, you must acquire an aquarium or a fish tank which is going to be the principal housing for your fish. Depending on what type and how many fish you want to keep, you must select your aquarium carefully; otherwise, your fish will not survive for long. Aquariums come in many sizes, the main determinant being the amount of water it can hold. 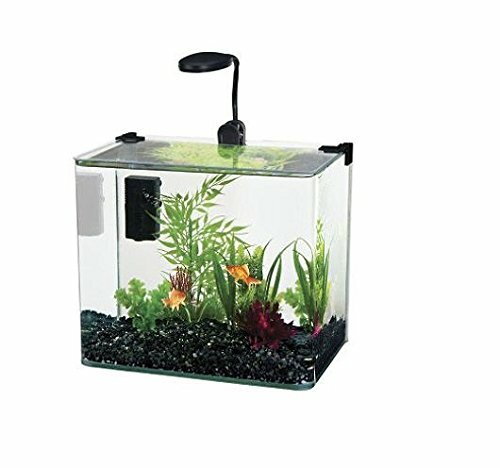 Here we look at the 10-gallon fish tank, which is among the smallest but very handy fish tank you will find in the market. The 10-gallon fish tank is easy to install and occupies a minimal surface area.You can have it at home in your living room, bedroom, in the office, basically anywhere. It is ideal for you if you are living in small houses or apartments, or even those just starting out on the hobby. Simply install it on top of a cabinet, a table or a stand and you are good to go. The 10-gallon fish tank is quite cost-effective. It is pocket-friendly and a great buy for beginners or those upgrading from fish bowls. This is especially so considering that it comes equipped with all the necessary components of an aquarium such as the lighting system, heating, filtration system and test kits. If you were to buy these components separately, it would be quite expensive. 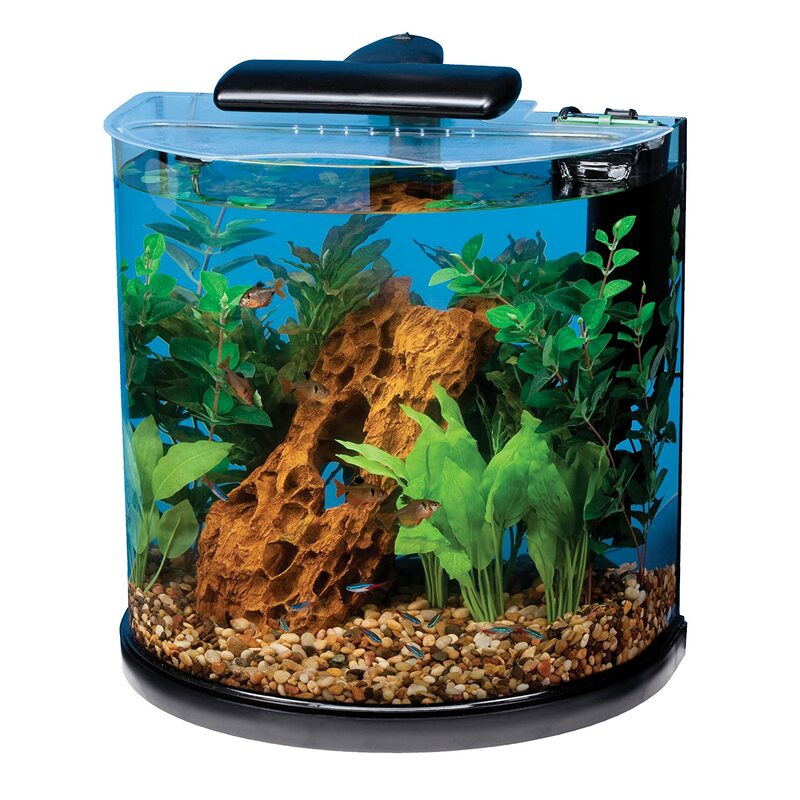 Compared to the fishbowl, the 10-gallon fish tank is quite spacious, giving you a room to keep an assortment of fish. It also leaves some room for decoration, allowing you to add a few plants and other ornamental items. The 10-gallon fish tanks vary in shapes, which allows you to select one that fits your sense of style. It can be a great addition to the overall appearance of your house. Now that you have decided to buy an aquarium, there are factors you should consider before settling down on your pick. Before you purchase your fish tank, you must do a thorough research and know exactly what to expect. Here, we suggest some of the factors to consider.These will ensure that you come up with the best pick for you and your fish. What type of fish do you intend to keep? Different species of fish thrive in different conditions, so before you buy your 10-gallon fish tank, you must be aware of the type you will keep. Smaller species of fish are better with this size. You must know that fish is very delicate. For that matter, read a lot about how to care for fish in a confined environment. Read about which type of fish to keep together, since some are not compatible. Learn about what temperature is suitable for which fish; learn about which food to feed which fish. In short, equip yourself with enough knowledge on how to care for fish before you buy a fish tank. Otherwise, you will waste your time and money and end up with dead fish. How much are you ready to spend on your fish tank. 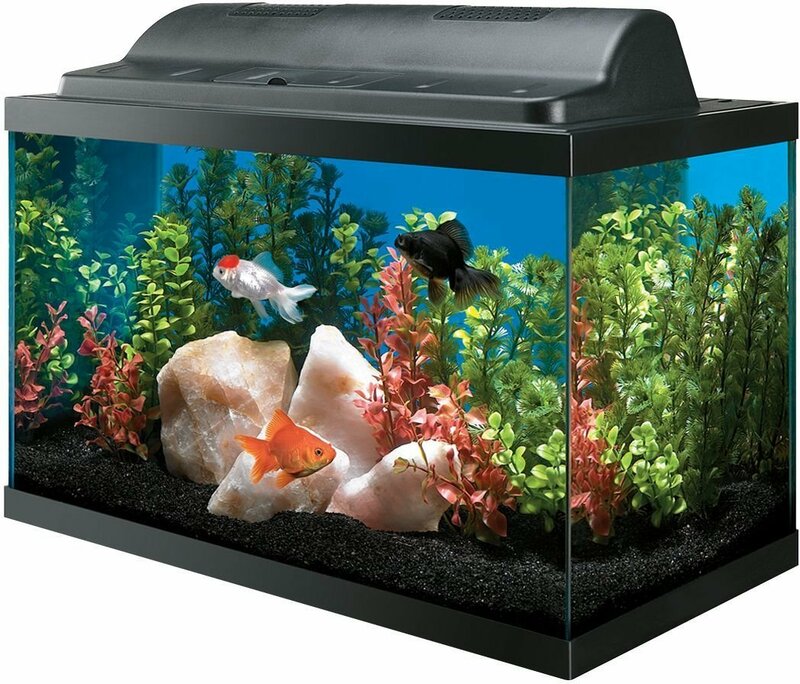 10-gallon fish tanks, just like any other fish tanks, come in at different prices. Determine your initial budget and the other recurrent budget that you are ready to spend on the aquarium. Consider factors such as the electricity cost, water cost, and equipment cost etc. Quality A fish tank is one of those items that you should purchase just once unless you want to upgrade to a bigger one. For this reason, aim for the best quality that you can find. This means the fish tank must be watertight-no leakages whatsoever. Good quality fish tanks may come at a higher price, but in the long run, will serve you better. Fish tanks are basically made from two materials, they are either acrylic or glass. Decide which material appeals to you, though most people prefer tanks made from tempered glass due to its durability. The material should also be able to tolerate varying temperatures. This is counted as an important feature especially if your residence has fluctuating temperatures in the course of the year. Of course the material should be non-toxic; otherwise, it will produce harmful toxins that will kill the fish. There are lots of fish tanks on market and you will definitely not miss one to fulfill your fancy. Here is a review of five of the best 10-gallon fish tanks in the market today. Made from sturdy glass and compact design. The filter cartridge is easy to install and change. 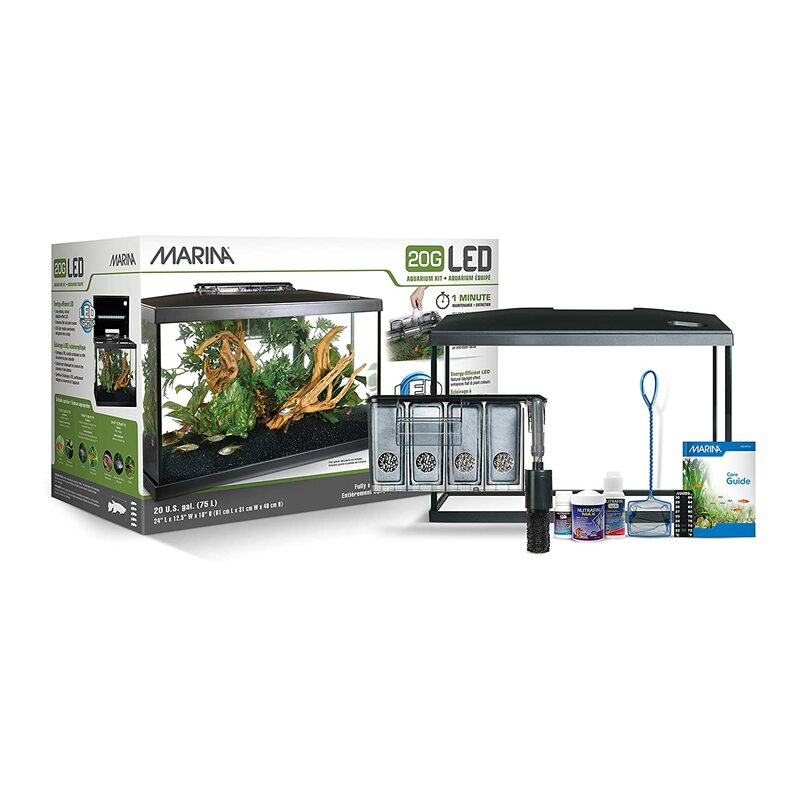 Comes with two clear 15W easy to change LED bulbs that light up the tank. It has a beautiful, stylish design which is aesthetically appealing. The filter cartridge can easily be installed and changed. The water conditioner is fast-acting, responding to ammonia and nitrites in the water quickly and ridding the water of harmful toxins that could harm the fish. The clear LED lights are easy to change and shine well enabling the fish and plants to thrive. The filter works noiselessly and efficiently without disturbing the fish or the occupants of the house. The motor can be slightly noisy, if not adjusted well. Made from tough tempered glass. LED lights of medium brightness to illuminate the tank. Five stage filtration process that keeps the water pure. It has a five stage filtration process that is among the very best in the market. This ensures that the water is as pure as can be for the survival of fish. Has long-lasting LED lights of medium brightness that keep the fish swimming comfortably. The filtration is noiseless and efficient, ensuring that there are no toxins in the water. The filter is attached to the back of the tank making the tank more aesthetically appealing. The lighting is not bright enough and this may interfere with the growth of some plants. This unique tank keeps loyal clients because of its appealing look. Apart from the unique design, there are other features that have made the Penn Plax one of the favorites. Small filters that take up very little space. Made from sturdy glass that is beautiful and durable. The design is versatile and can fit in very limited spaces. It has an inbuilt filtration system that is small and occupies little space. It has long-lasting energy efficient LED lights. Does not come with a heater and a thermometer, so you have to buy them separately. Certainly one of the most eye-catching fish tanks around, this tank features a unique design that allows you to view your fish from all angles due to its curved design. Below are some features that we like a lot and some not so much about this fish tank. Unique curved design that gives a perfect view from all angles. A smaller base relative to the rest of the body. Has a great curved design, devoid of corners that allow you a great view from wherever you are. A relatively smaller base that enables you to fit it even in the smallest of spaces. Comes with a very powerful filtration that ensures the purity of the water at all times. A regulated water heater that keeps the water temperature at the recommended levels. Has LED lighting that keeps tank properly illuminated throughout, enabling both the fish and the plants to thrive. The lighting is not strong enough to sustain the growth of more demanding plants. Very spacious with wide dimensions allowing enough room to work with. A detachable upper compartment that lets you feed the fish. Ready- to- use standard ports that enable you to fix the electricity and filtration pipes without much hassle. It is quite spacious, giving you a lot of room to use. It has an easy to open compartment on top of the hood that allows for easy feeding. Has ports that allow for fixing of the electric and filtration wires thus making your work easier. Comes with two fluorescent bulbs, which can be easily replaced with LED bulbs. It lets you experiment with your creativity, coming up with a design that meets your standards. The very basic nature means it is not suitable for those that are not into DIY stuff. The 10-gallon fish tank is a great aquarium for beginners. As seen above, it is affordable, convenient and stylish enough for pet fish enthusiasts. It also occupies little space and can fit perfectly both at home and in the office. From the above reviews, we can see that all the fish tanks mentioned have features that enable fish and other marine life to survive while adding an aesthetic feel to your home. We would, however, recommend the Tetra Half Moon Aquarium unit. This is simply because of its beautiful and unique design. It allows you to view the fish and marine life from any angle. Furthermore, the design of the base allows it to be versatile, fitting in the smallest of spaces available. Then its lighting and filtration systems are superb, ensuring that the fish and the tank last for a very long time. The Aqueon aquarium is equally a great fish tank. What stands out most about it is the unique five stage powerful filtration system that keeps the water fresh and the air supply adequate. Finally, it is safe to say that purchasing a 10-gallon fish tank is a good investment for all those seeking to keep pet fish, or those upgrading from smaller tanks and bowls. You should simply consider the factors mentioned to own one that will fulfill your needs to keep your fish happy! If you have liked reading this piece of article or if you wish to share your views, please drop your personal reviews.